We are thinking about them and they are thinking about us...Love it! Last week was our Stake conference and we had the privilege of hearing from Elder Stephen B. Allen of the Seventy. 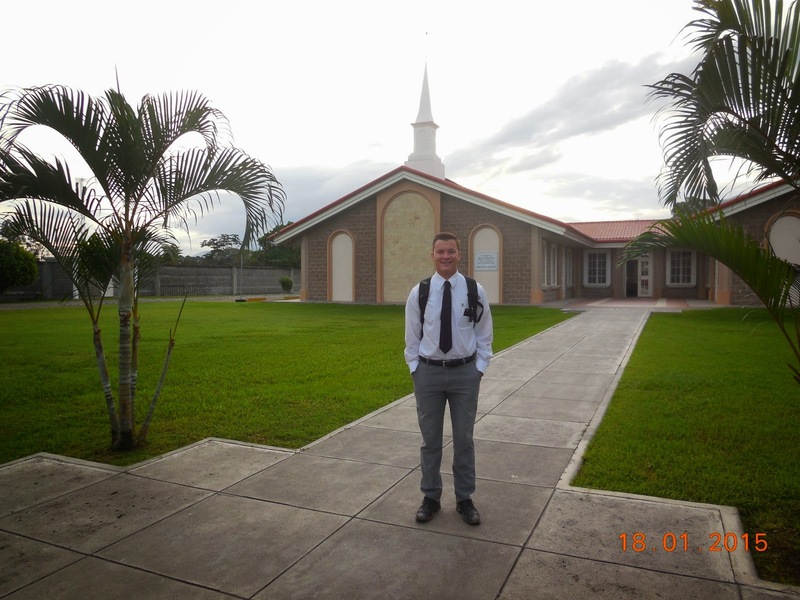 I was so excited about what he shared in all three meetings that I took a bunch of notes and shared several in my weekly email to Elder Hansgen. I stayed up a little too late Sunday night making sure it was perfect and I always say a prayer in my heart when writing so that my words will be encouraging, interpreted the way they were intended to be and that he can feel my love when he reads them. Ely has recently been writing less and less so there really has not been much to post on his blog. 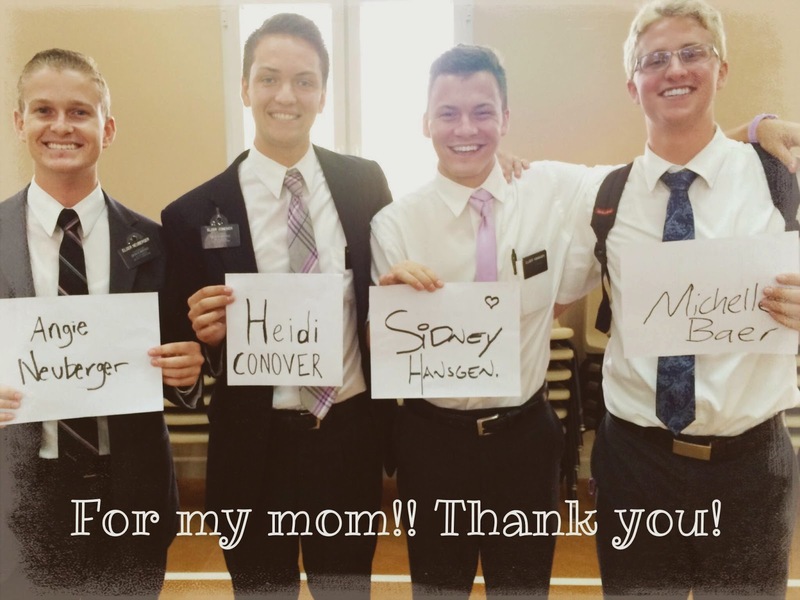 As his Mom I believe that he has been on a roller coaster of emotions as he nears the end of his mission. I wanted to write something this time that would convey how proud I am of the work he is doing and the man he is striving to be. It has been said that women use far more words a day than men. I can testify of this truth. I smile and think of our Elder E! What a man among boys! I think of how your shoulders will come home even bigger and broader than when you left due to the burdens you are bearing. How your heart will be just a little bigger than when you left because, you let so many people in. How your mind will be even more keen with pure thoughts and gospel knowledge. I bet we will find that when we look at your bright white legs and boney little knees that we will find rough spots, or calluses from kneeling in prayer. You will return with honor, your eyes will see opportunities for service that were not seen before. You will "judge not, lest ye be judged" because like you said, "the atonement is for everyone." Your feet and hands toughened by the land and the work that you have put forth in bringing the world His truth. I am proud of you everyday and humbled by your sacrifice and service. I know that neither of us are perfect but I love that we know we should be shooting for it. Have a great week and please write us a letter, you will be so happy to have them to look back on, trust me! I love you like only a mother could! thanks mom!!! you're awesome!!!! this week we found a bunch of cool people and we just "wreck" on finding and teaching and sharing messages that were only like twenty minutes!!! i'm getting back to my happiness!!! slowly but surely!!! so thats a positive note!!!!! i'm happy that you are so happy and positive! it makes my life better thank you for that!!!! i love you mom tell everyone hi and that i love them!!! Thank goodness for exclamation points, this letter would be so short without them, lol! If Ely's mission were a baseball game we are at the top of the 9th inning, and we are the Home team. Beating the opposition in 5 innings by 10 runs would have been too easy and not rewarding enough. We have been in the warmth of the sun and hit a line drive in the gap for a double, thrown people out at the plate, struck out looking, snagged a couple of bases when we could, rallied the team when we were down, did some teasing in the dugout, questioned a curveball, came in hard at home to tie it up. When this game is over there will be high fives all around and a hotdog in the stands. It will be a big "W"
A note from the Mom. 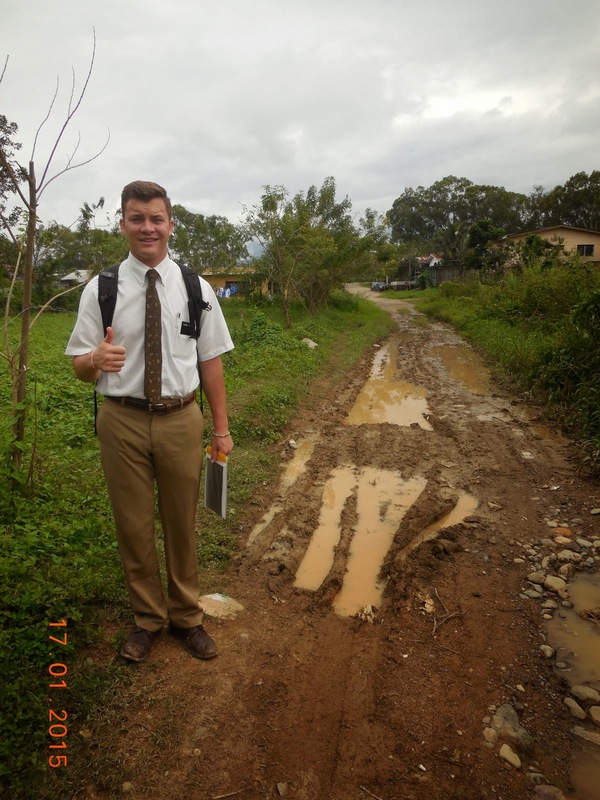 Elder Hansgen hasn't given us much to post on the blog. He has sent a few photo's that reflect true happiness in what he is doing, who he is serving and where he is. Transfers are this week and I don't think I´ll have them but we find out tomorrow! I don't need anything!!!! I'm all good in the hood right now! Everything is really good mom! No, I'm just drinking juice!!! haha I've gotten into a craving of juice!!! weird huh? Yeah, I am still training, my companion is super cool! Today we just played football I got a nasty slide tackling injury on my leg, it is super wicked and awesome! We played Monopoly and ate pizza nothing too big. This is the first time I have ever played Monopoly, it takes forever! I remember you always saying that about Monopoly so I never had a desire to play it. It's fun and all don't get me wrong but the gringo here talked it up way too much! Well here is a recap of the week…we found this Bob Marley dude, he looks like he is Bob Marley but like the “work out” version. This guy uses a machete for work, like all he does is get up, smoke weed and grab his machete and he is ready for work. He is the hardest working guy I have ever seen, he is so, so, cool. Probably like my favorite dude eveerrrr! I am so happy we are teaching him, he is making progress on not smoking weed and he told us the other day that he just wanted to know which church was true. I literally stood up and I was like I love you man and gave him a hug. Hopefully he gets baptized!!! He lives in the coolest place; I will send pictures when I figure out what’s up with my camera’s memory card! Everyone in the world is stressing about the cure for cancer. I mean there are people that all day, for their job, research for a cure. I found out something in one year and a half that experts in cancer don’t know...and that is that power of priesthood can cure cancer! It’s a pretty simple formula. It’s a mix of unwavering faith and some worthy priesthood holders that listen to the will of God. So I wanted to tell this story because I met the biggest critter of a woman the other day. Critter= A person that just by looking at them warms your heart. So, we got a call and started sprinting towards the hospital... The only question I asked my comp was “do you have the consecrated oil?” (Usually I have mine but the robber got mine) Anyways, we get there my shirt is untucked and we meet the Zone leaders at the hospital because the Sister (a member) had called us both. We get a little run down on what had happened. turns out her sister had just been admitted into the ER because her stomach was super bloated and inflamed and blah, blah, blah and she was really sick... we were sitting there and the doctor comes in and just says “yeah, we have run some tests and its seems as though you have a tumor in your liver.” Liver cancer (I remember a few terms from the medical terminology class and hepat- has something to do with the liver) and then he said it was cancer. I looked around and everyone was staring off at something. Everyone had this unconcentrated stare off into the distance. It sucked. 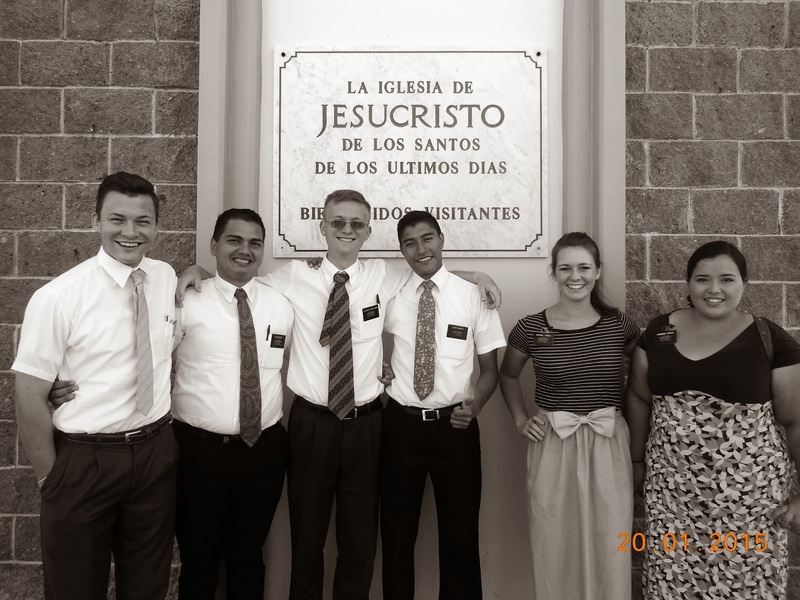 There were like one million things I could say as a missionary that would be good doctrine to teach. I thought about the plan of salvation, the atonement, and life after death..... Nothing came out as I just tried to swallow the dry spit I had in my mouth. The cute little old lady (Critter) just started massaging her head and I think it was just to try and hide a little of her tears. She asked us to give her a blessing. She isn’t a member and she asked us to give her a blessing? She put forth her faith. 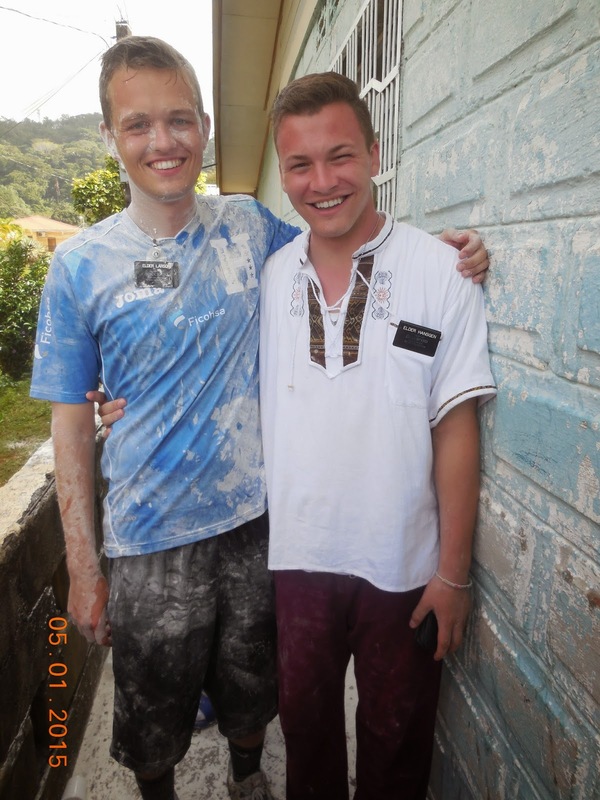 I looked across the hospital bed and Elder Larson was just like well who is going to do the first part? I looked around and said I would. I thought to myself, “Do I really have the faith to bless a dead among the living? 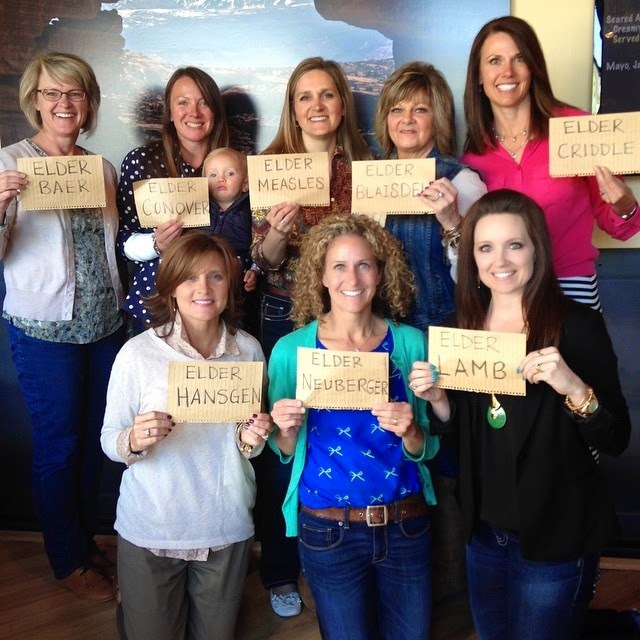 Were a few words said in a priesthood blessing going to help her? I anointed her with the consecrated oil and said amen. We looked around again to see who had the nerve to do the second part of the blessing. The companion of the ZL, Elder Monterossa offered to do it and we all wiped our hands clean from the sweat in our palms to put our hands on her head. I don’t remember what he said but I opened my eyes during the prayer (hopefully I don’t get burned in the last days) but, she was smiling peacefully. I was thinking to myself, “What the heck lady you have cancer, stop smiling peacefully.”Long story shortened, I saw her on New Year’s Day and she told me she is grateful for worthy men like us and she plans to get baptized soon. She says 2015 will be a good year without cancer. The ignorant little me said, “what?” Turns out she had been cured from cancer, the cancer is gone! I just said something stupid and stepped back, got a little light headed. I watched her for the last 10 minutes we had with the family (my comp was finishing up eating) and I was just in a daze watching her. She was laughing, talking, singing. it was marvelous. I am an instrument in the Lords hands. I’m a changed and converted, I started realizing what a marvelous work this is. He stands at the head of this church and He does what He wants when He wants to. Miracles exist in these our times. I know it, I know it, I know it! I have to keep telling myself that every night because I’m afraid if I don’t I might be one of those idiots (Lamen and Lemuel) that are slow to remember. Testimony: God Exists. Jesus Christ is His son that He sent. He is the Christ, Savior and Redeemer of this world. He works within us as well as He works through us. They are always so close to us but at the same time it’s a long weary path to be on. Use Them at all times in life, don’t feel selfish (doing everything on your own) because They like to help. Be grateful, when we aren’t happy it is because we aren’t grateful. The work of salvation is progressing at an exponential rate and I am loving being a part of it! The Gospel of Jesus Christ has been restored. It’s here and I represent it. I have been converted to the fact that when you are found in the service of your neighbor you are found in the service of a kind and loving Heavenly Father. Serve others this week. Be worthy. Choose the right. Listen to the whispers of the Spirit. Do something today that your resurrected, sealed family will thank you for in time and all eternity. Make covenants, Keep covenants. Keep commandments. I’m so sick of people calling me that.... here’s the story. The past four days I have been in and out of the hospital and my bed because a poisonous spider bit me three times in the right leg and six times in my left. I woke up and I couldn’t move my legs! They rushed me to the ER where the shot me up with a bunch of drugs and from there I literally just sat in bed for three days sleeping and taking pills and cutting puss out of my wounds, it was fun, ha-ha! Good, quality, time to read the Book of Mormon. I am almost done with my fourth time reading it here on the mission!!!! But everything is good now! Back to normal! I am training again so that is great! 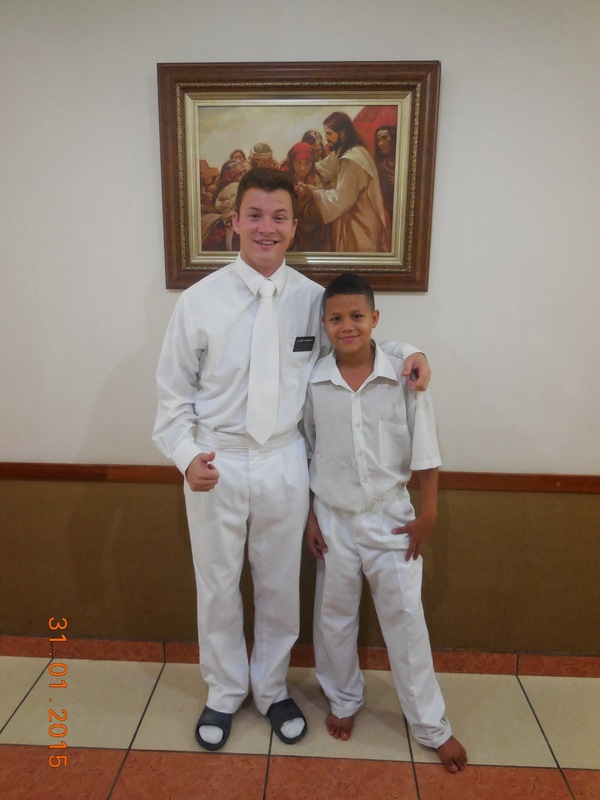 This Elder is super cool and his name is Elder Mendez! I miss everyone and love everyone, hope you are all good. My sister is getting married, cool, I’m mad about it but whatever, she deserves it! The exaltation part of it, that is. Moms going to be ticked if I don’t answer questions but what’s new!!!! Ha-ha love you a bunch mom I do it because I love you!!!! 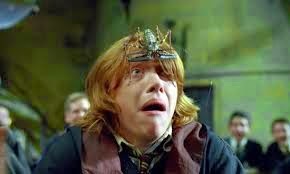 Ha-ha Sam got spit on in an indoor soccer game!!! !